Mike Ragogna: Hello Steve, how are you? Steve Hackett: Very well, Michael. Nice to talk. MR: Same here, sir. Can you go into how Squackett came together? SH: Sure. Well, Chris Squire and myself, we recorded several times together on different projects. In 2007, we started showing up on each other's albums. Chris, of course, from Yes, the iconic, famous bass player and writer, for those interested in a certain powerful sound. He and I hooked up originally in the mid-eighties when I was working with another guy from Yes, Steve Howe, the guitarist. We had a band for a couple of years called GTR. Chris came to a show we did in Los Angeles and we kind of stayed in touch ever since. 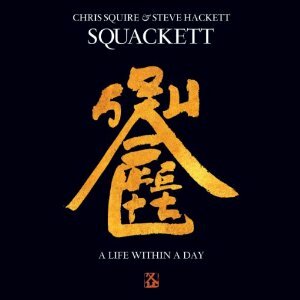 In recent years, we've been doing more and more things together, which culminated in this Squackett album. SH: Yes, I think there's an influence from both of those bands and a myriad of influences from other bands, not just British, but also other bands that use vocal harmonies to put across their sounds. Chris and I were fans of similar bands, all of them iconic, many of them great harmony vocal bands. Both of us shared the love of orchestras, orchestras working with groups, trying to blur the distinction between what orchestras can do and what groups can do. Classical music was a big influence to both of us and we welcome its influence. Chris was originally a choir boy when he was a kid, singing a lot of the great tunes from way back, from composers like Hubert Parry, long before he was involved in rock 'n' roll. Then, of course, Genesis had a big classical influence. Yes and Genesis had the influence of American bands, big band jazz, Buddy Rich, bands where it wouldn't be straight ahead rock, but you get an accent at the beginning of the bar or half way through. MR: You mention your classical influence, and I'd like to bring up that classical guitar piece in "Horizons" from Genesis' Foxtrot. SH: That was probably the first thing that I'd ever really written for something that was in a classical style, but it was on a six-string steel. I played it on a Yamaha and I got it on the 4th take without an edit. There was a melody I heard years ago and I thought, "Ooh, I'd love to do something with that!" Years later, I found out it was a melody with a Bach piece. I developed the melody in a different kind of way. Bach was a big influence on the stuff I was influenced in then and still today. People say music starts with Bach and ends with blues. MR: When you're listening to Bach these days, are you still discovering things? SH: Oh yeah, of course. People who are serious about music, or their musical taste--serious listeners, most musicians, whatever--everyone says that Bach is the top guy. MR: He so translates into rock. SH: That's right, he does, a lot of progressive music. If it sounded on the idea of certain chord changes and an unmoving bass, you have that throwback right to him. There's never been such a prolific writer as Bach. I always think that music sounds contemporary because it's indifferent to the instrument it's being played on. It sounds great on a Casiotone, on a harpsichord, on an organ, or on a rock guitar if that's your raison d'etre. MR: Okay, let's get back to Squackett. What was the collaboration like creatively for the two of you? How did the album come together from a creative process? SH: Well, we were working on separate projects, which kind of met in the middle. Chris was working on a solo album. He had various things he'd earmarked for Yes as well, and he'd played on a couple of my albums. He said it would be nice if we could combine some things. We did quite a bit of rewriting and re-recording to encompass both of our ideas. We also wrote face to face, not just Chris and I, also Roger King, who both engineered and produced the album and played keyboards on it. A lot of it was done in my living room at home and lots of it was done in a studio. We spent lots of time together breaking bread, and going out and seeing other bands. Generally, it was an extension of friendship, a very relaxed recording circumstance. We just egged each other on, encouraged each other--this sounds good, why don't we do this, why don't we do that. It was very, very easy as if we'd been working together for years and years. MR: When you have the kinship, the fellowship, in addition to the musical bonding, to me, you're firing with all cylinders. SH: Exactly. There seemed to be a natural harmony between us from the word go. He said to me most guitarists he's worked with tend not to like to hear string players, for instance, violins, viola, cello, double bass, on things. I said, "Well, I didn't feel like it was like that for me, we're all string players." We had some string players on the opening and title tracks and it's all the stronger for it. MR: The new album A Life Within A Day features material such as "Tall Ships," and "Divided Self." What is one of the more interesting stories of the creative process or how one of these songs came together? SH: Well, you mentioned "Tall Ships." There was a day in the studio when we were working on it. Chris had a new bass and he plugged it into the sound system and he started playing something interesting. I asked if he could repeat it, because if so, I think we have something interesting and it became that song. We just encouraged each other and we'd play along, brick after brick, idea after idea, sometimes from scratch. MR: Steve, how did you get together with Genesis? SH: Well, I'd been advertising myself in the trade papers in England for a mere five years before I got a phone call from Peter Gabriel. He liked the sound of my ad. They were equally eccentric. So, a new style of music was born out of that. At that time, Genesis sounded like syncopated hymns. MR: Yeah, and that first album seems to be re-released with a new title every ten minutes. SH: Yeah, that's right. That was before I joined the band. The band was formed at school, that was From Genesis To Revelation. By the time I joined, at the same time as Phil Collins, the band had done two albums, ...Revelations and Trespass. We joined at the beginning of Nursery Crimes. There were 8-10 albums if you count all of the compilations and masses of live stuff, some of which is out there. A lot of it is waiting to go. It is a moot point or contentious as to whether Genesis will ever release those masses of board mixes, many of those being very good, which go back to the days of Peter Gabriel. MR: It would make a great box set. SH: I suspect these days, people are less precious about the idea of trying to get everything pristine. Everything that comes out of that legendary period has something to offer. MR: As you mentioned, you stayed with the group for a few albums. Wind And Wuthering was your last studio album. SH: Yes, Wind And Wuthering was the last. MR: And you were on the live Seconds Out as well. SH: Yeah, I was on Seconds Out, the live double. I left at that time to pursue a solo career. I still love lots of what the band did. Every now and again, I decide to rerecord that stuff and tour it. I'm involved in one of those projects as well at the moment and a lot of well known people who are involved in recreating it with me and putting their own take on it with me. MR: And there was GTR. SH: GTR... we were really a British band that found their home in the States. It may have been due to the fact we were signed to Arista Records under the guidance of Clive Davis who did a great job, and MTV kept plugging us and it was a great time for us. MR: As much as people like to trash the eighties, a lot of cool things happened to music and how it integrated into people's lifestyles. SH: You're right. During my time with Genesis, it was really the pre-video era as we knew it. We did do videos, but they weren't great masterpieces. But, by the time it was GTR in the mid-eighties, we did a video for the hit track "When The Heart Rules The Mind," and it was tremendous a Stateside success for us. Then there was the accompanying video and the making of the band and that was terrific. They spared no expense making sure that thing was a success and that was great. SH: It's funny though isn't it that most people mention me as an influence. It's funny because I always feel like I'm just starting out rather than it's the golden years of a long glorious career. I think my next album will be better than the previous one. I always want to make a better album than the previous one. That's just me. I'm just obsessed with music making. I'm in the studio most days when I'm not touring. MR: Or at the Rock And Roll Hall Of Fame, like when Genesis was inducted in 2010. SH: Luckily, the band was inducted. It's funny because in those early days, we were struggling to get shows. Much of what we did then, when it was difficult to find an audience initially, has been celebrated, literally, all the way up to the Rock And Roll Hall Of Fame. Some bands are like slow burners and it doesn't always happen straight away like the X Factor or The Voice-type thing where you audition on TV, everyone loves you for 5 minutes and you go on. That slow build in front of audiences is valuable. If the industry is willing to nurture you in that way, the band can rise through the ranks and pay dues and to some extent work with different audiences and hone itself to have something to represent to the public. MR: This is a perfect segue to my traditional question which is what advice might you have for new artists? SH: My advice is always the same--to enjoy it, enjoy what you do, particularly when writing a song. If you enjoy it, other people will enjoy it. There's no magic to it. You need to really enjoy it yourself. It's so important to do that. You can try really hard, lacerate yourself for making mistakes because they're perfect and you're not. But it's not like that. Stick at it, don't throw in the towel and make sure you go enjoy every gig. Everyone goes on nervous. I did a gig last night, it happened to be to a sold out house. I happened to be quite lucky. I've always counted myself lucky. But, I go on nervous. I always tell myself, if all else fails, if the electricity goes, if the drummer falls over, if the guitars break their strings, if a bomb falls on it, it doesn't matter. The thing is make sure you enjoy it. I'm going to enjoy it, even if I have to take off my left boot and bang it on the floor because nothing else is working. You've always got to have that fallback position that you're going to enjoy that night. Loving it and enjoying it is the same thing. Don't worry what it's like, just enjoy it. MR: You were influenced by Danny Kirwan and Peter Green, right? SH: That's right, I was. I think they were both perfect guitarists. I watched a lot of John Mayall shows in the days of R&B. So, yes, I have my heroes, usually, electric guitarists who could do great finger vibrato work. It was a very interesting time in British music. I also got to see the late great Bill Rumsfeld, who was not only a fabulous harmonica player, which I grew up playing, but also Mike Bloomfield and Elvin Bishop who were terrific. I started playing to about 20 people in a small tiny place just outside London, but they put on the most incredible shows. R&B was really important for me growing up, listening to that stuff. Paul Butterfield, not only did he have great guitarists, but the sound of the harmonica gave the guitarists a run for their money, definitely. MR: We're also going to talk to your pal Chris Squire, but do you have any words of wisdom before we close? SH: Well, I don't know. I've never really felt like giving master classes because I still feel like I'm finding my way and I'm a pupil and still learning stuff and not being taught by anyone who would wrap my knuckles telling them I'm doing it wrong. It's really keeping your eyes and ears open I think. MR: I really appreciate your time, sir. SH: Thank you very much, Michael. Mike Ragogna: Hello Chris Squire, how are you? Chris Squire: I'm good thank you. MR: Thank you for calling in. Chris, what's your side of this whole Squackett story? CS: What side of the story would you like? MR: Why, your side, of course! How did you guys come together as Squackett. CS: Some of this Steve has told you. But when I first got together with Steve was when he came to help me out on a project he was doing at the Swiss Choir. It was a bunch of Christmas carols I wanted to record with a punk-rocky feel to it. I'd recorded the bass drums and keyboards. I was looking to have, I thought in the beginning, various guitar players to come play on the various tracks. It turns out that when I made the calls to these guys who were happy to do it, they were busy with projects. The drummer suggested that I called Steve Hackett and I hadn't heard much about what he was doing. I heard he had a vibrant solo career and was doing different kinds of records, classical to acoustic, all sorts of different things as well as his own solo band that he'd go out with. I gave him a call and he said he'd be happy to work on a couple of tracks and he did and did a fabulous job. I asked Steve if he would do the rest of the tracks on the album, and fortunately, he had the time to do it. I owed him a favor and said if there's anything you want me to come play on, I'd be happy to. He said he did have some songs and works in progress, and I was learning more about his music and the songs he was writing. He gave me a CD with some of his demos and ideas and I went back to him and said I like these files and it just organically developed into a situation where we were working together and we decided we may as well do a joint project, hence the birth of Squackett. I brought in some material I was working on and he played on that, and, eventually, by the time we got to the last couple of sets, we were inventing them together and writing lyrics together, coming up with vocal melodies and singing together, which was a big surprise because when I started working with him, I didn't know he sang. He was a real good singer and it was a bonus that when we sang together, our voices made a really good blend. So on our album, a lot of the lead vocals are done that way. That's Squackett for you. MR: I noticed the voices blended in the same way yours and Jon Anderson's blend. I was very surprised by that. CS: Yes, we make good noise together. MR: (laughs) What was the creative process like, for instance, for "A Life Within a Day" and "Tall Ships"? CS: Those two tracks we kind of wrote together organically from the ground up. Steve had a musical idea he'd been working on with Roger, the third man in this project, a long time keyboard player who also handled the production and the mixing. Steve had been working on the instrumental side. We started thinking about vocal melodies and rearranging the track a bit and eventually rewriting the lyrics and singing it. You mentioned "Tall Ships." That came from a day when I was playing on this Yamaha bass that I'd been given to see if I like and I just sort of played a few riffs on it and Roger recorded it when I was messing around and next time I came in the studio, he'd strung the bass part together in the computer and that was the birth of "Tall Ships." Steve and Roger came up with a chorus and we wrote some lyrics, and I ended up singing lead vocal on that one. It was a pretty fun and low-pressure process. MR: Roger as in Roger King? MR: Chris, you're the only member of Yes to have appeared on all of the albums? MR: What are your thoughts looking back on the Yes years. CS: Well, they've been a lot more than we ever anticipated when we formed the band in 1968. I thought if we could have had a six-year career, which is really visibly what The Beatles had from '63 to '69, that that would be a tremendous achievement, and yet, Yes is now in its 44th year of existence and I've been through all of the Yes changes, more by default than by design. I've just sort of been there and other people have gone off and done other projects. Rick Wakeman and Jon Anderson have rejoined and gone off again and rejoined, but I've been there the whole time, and even though Alan White is the "new" drummer, he has been there since 1972, so he also deserves the credit for being around for 20 years. MR: Strangely, even after all these years, Bill Bruford always comes to mind as Yes' drummer. CS: Bruford played on the first five albums and on some live stuff and rejoined for the reunion tour in the nineties. MR: Which had almost every member? CS: It had eight people, not everyone. There was a live album out with that format put out by Larry, the promoter of that reunion tour. It's an orchestral version of Yes. It's got a real big sound to it. MR: You mentioned The Beatles. They were a big influence on you? CS: Of course. I was fifteen in 1963 and I looked at that and thought, "That looks like a real good job and I think I'll go for that." MR: When you look at music right now, what are your thoughts? CS: Things always change in many ways, and in other ways, they don't. It's the same process, people write songs and of course, production values have changed with technological innovation. I'm in a good place with it all. I like working with modern sounds in the studio as much as I'm happy to work with a basic rock 'n' roll format. I'm pretty much involved in what's going on today as I was yesterday. CS: Actually, it's my only solo album. I've been trying to make a follow-up for years, but the material always gets diverted for other projects, as in Yes, and a few of the songs on Squackett. But the chances of that happening again in that way is unlikely because a lot of the flavor and the orchestral arrangements on Fish Out of Water were done by my dear friend Andrew Jackman and he is no longer with us. He was an important part of that project in terms of the orchestral arrangements. I think I'll not attempt to do a Fish Out Of Water 2. I might stumble upon another way to do it at some point. CS: I get that a lot. MR: You've also worked on a lot of other solo projects, like with Rick Wakeman, Alan White... It's been a challenge, as you said, but you do record on many other projects. Oh, you also were part of Conspiracy. CS: There are offers for us to do a third Conspiracy album. At the moment, my hands are a little full because of the worldwide promotion of Yes' album, which continues through the end of Summer in the US and with the Squackett album coming out at the end of May, I've got quite a lot going on at the moment. MR: For your live shows, is Squackett going to throw in some songs from your other configurations like Genesis, Yes and solo material? CS: Well, if we do live shows, and we're looking at that, Steve and I have talked about it, of course. We have the material on the Squackett album but to fill out the rest of the show I would like to do some live Fish Out of Water stuff, which has never been done. I did a video with Billy Sherwood a few years back doing a couple of the tracks. I'd like to be able to do more as part of the Squackett show. Steve has a wealth of material from the various albums to fill out the Squackett show. I don't think we'll be doing anything with Genesis...maybe we'll throw something in. MR: Chris, what advice might you have for new artists? CS: Advice... Stick to your beliefs, I guess, whatever genre you're in. You have to believe you have a chance at making some kind of impact in your chosen area and stick to it, really, and persist. MR: Is that what you would have told the young Chris Squire? CS: That's pretty much what I did. Persistence is a pretty important part of making it in this business, which, in retrospect, is the easy part. Maintaining a profile is the difficult part of the job. Somehow or another, I muddled through that system and somehow am around to still enjoy playing for people. MR: What does the future look like for Chris Squire beyond Squackett? CS: I'm not really looking at anything new to do. Yes has a new vocalist in Jon Davison who has turned out to be really fantastic. So we will definitely be looking at doing a new Yes album next year I'm sure with new material with Jon Davison's involvement. Very loosely, that's the next part of the Yes story. CS: Yes, I'm sure as this album does well, there will be pressure from the record company to do another project and I don't see why that wouldn't happen because Steve and I enjoy the creative process together and I'm sure we'll be happy to work on some material in the future. MR: And how many yes albums have there been over these last 44 years? CS: I believe it's over 20 studio albums now. Apart from that, there's the compilation of the live albums. There are quite a few Yes albums that have been released over the years. MR: Chris, thanks, and all the best with Squakett and everything in the future. I really appreciate your time. 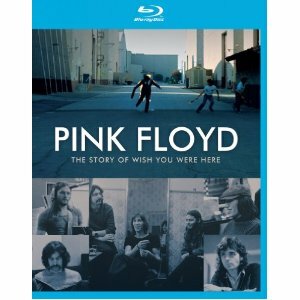 Mike Ragogna: John Edginton, director of the documentary Pink Floyd: The Story of Wish You Were Here, how are you doing? John Edginton: I'm doing well, Mike. MR: Can you tell the story of the making of The Story of Wish You Were Here? JE: The story of the making of the story started for me in July of last year. I got a call from producers in London that I know pretty well for a company called Eagle Rock, which is a music documentary maker of DVDs. They do that series Classic Albums, which a lot of people have seen one of at some point. They called me (saying) that they had this project to make the story of Wish You Were Here, and they were negotiating with the band and the artists and their management. They got to the point where they were thinking about getting someone to direct it and they asked me. I said, "Absolutely, I'd love to," and it so happened that I was actually in London about to go back to New York where I am semi-permanently based. So I canceled a lot of plans and stayed in London for six or seven weeks and then came to New York with a load of footage and then edited it in New York. MR: There must have been some footage you discovered that was really endearing as you were putting this together? JE: Yes, it's a mixture of stuff. The story itself, the bones of the story, the record Wish You Were Here, was influenced by what had happened to Syd Barret, the founder of Pink Floyd, and it's a tragic story. He'd left the band after making one brilliant record in 1968 and privately gazed the dawn. Syd was a lovely guy by all accounts but he took too much acid and literally burned his brains out. These guys were haunted by Syd and that was one of the main threads of the music, it was driven by these emotions, so "Shine On You Crazy Diamond" is really "Shine On You, Syd," you know? I knew all that because I'd made a documentary about Syd Barrett ten years before, which is available on DVD, called Pink Floyd: Syd Barret's Story. You might have seen it. MR: If we haven't, we will now. JE: Yes, or else I'll hunt you down. MR: Keep going, this is great. When you were looking at the footage, I'll bet everybody was very emotional when they were talking about Syd. JE: I'm a bit of Syd obsessive myself. I actually love Syd's solo albums, not a lot of people do. He wrote a lot of these great, quirky, very English songs between leaving Pink Floyd and leaving the earth, in a sense, before his mind completely went. They're bittersweet, great stuff. Anyway, putting the DVD together, the film, I obviously interviewed and met all of the band. But my feeling about it was, also, I didn't want to have a classic album format for the film, which typically is that you interview the band, you go through the story of the record and you lob in a lot of music journalists saying how great it is. To me, actually, that's a little bit of a dead format. It doesn't engage you that much, I don't think, unless you were a total fan of the band. So I said to the producer guys, "Look, why don't we set about literally finding everybody we can that took part in this? There's a story about a whole range of this record, it's such an amazing record. Look at the cover, it's like a comic, there's a guy on fire on the cover. Who's that guy? Let's go find him. How did they choose that? How did they decide that? Let's talk to the guy who took the photograph, let's talk to the designers." There are lovely voice music in the background, soul sounds in the backgrounds, especially in "Shine On You Crazy Diamond." Who are the background singers, where are they, what happened to them, what was their experience? They had these fantastic animations that they used when they took this thing on the road and there's virtually no footage of them playing live, at all. There was some weird deal that a manager had that they wouldn't allow anyone to shoot anything. As a result, there's nothing to show them playing live except thirty years later. JE: Yeah, but the animation that they actually had on these stage shows is done by a guy called Gerald Scarfe, and it's absolutely brilliant. For instance, for the song "Welcome To The Machines," he created this mechanical monster that climbs out and spews out and chews up everybody in his path, like this sort of massive, corporate machine. MR: There also were a lot of statements simultaneously going on in this album. It was about Syd, but weren't they also tying in implied reasons why things were spinning out? JE: Yeah. They were like the indie band of their time in the 1970s. They played the soundtrack in the Michelangelo Antonioni films. They played in concert halls for quiet audiences who listened. They weren't a stadium band, weren't that big. Then, suddenly, Dark Side Of The Moon amazed everybody by just taking off like a rocket and becoming one of the biggest selling records of all time. Suddenly, they're absolutely huge and they didn't know how to deal with it and they didn't really trust or like a lot of the music business people who didn't seem that interested in music. They were product. So there's this whole theme and Roger Waters' the guy who articulates it because he wrote the words "Have a Cigar, come in dear boy, have a cigar and we'll give you the world." Just make another record, just make another pop song. MR: Exactly. Now, of course, their live shows became some of the biggest stage productions ever. When you look at Animals and then The Wall, what massive productions they were. JE: Absolutely. The early Dark Side Of The Moon shows were, by all accounts, pretty drab. They had a lighting system but it was fairly low-key and not brilliant. They were trying to use lights in the sixties, but then they used simple lighting systems that were pretty good in a way. By the time they were playing some of the songs like "Wish You Were Here" live, before the record came out, the shows were pretty much in shambles. The lighting was not good and music journalists were complaining that they had lost their audience in a way. I think it was the taking-off point, in a way, when Gerald Scarfe came on board. He was a brilliant political cartoonist in the UK, but he also started doing animation. He was the guy who did all that animation on The Wall, which we are all so familiar with--the marching boots and iconic pictures of monstrous figures that Roger Waters is using to this day on his ...Wall show. MR: It was also that they worked-in psychology. Most people don't give them credit for this but they're dealing with a lot of the id. It's something you're not very conscious of when you're listening to the music, but there are depths and layers beyond the music. JE: Yeah, that's one of the great things. We went into Abbey Road with the sound engineer who worked on the album, Brian Humphreys. He's a great guy, but he's retired. He hadn't been back to Abbey Road for thirty years. He had never worked on a digital mixing desk, they did all this stuff very simply with tape spools and very simple-numbered tracks. They made these amazing sounds. There was one thing they had on which was this sound, you know, when you run your finger on the top of a wine glass. They had a whole wine glass orchestra where they had hundreds of glasses with different levels of water in them. MR: You've done some other documentaries, some even award-winning, haven't you John? JE: If you say so, Mike! MR: (laughs) Can you go into some of your other favorites? You mentioned Syd Barrett, but I know you've also created one on Robyn Hitchcock? JE: Ten years ago, I did a film on Syd Barrett, which was called Pink Floyd and Sid Barrett's Story. During the making of that, I met Robyn Hitchcock who is a huge Syd Barrett fan. I didn't really know him very well at all, I didn't know his music very well. I discovered a lot of his albums were in second-hand record shops in London, and that's about the only place you could find him. I listened to some and he's fascinating. He writes beautiful songs, actually. He's written hundreds of songs. I subsequently learned he's made twenty-five albums. I met Robyn and he's absolutely charming. We sat in his garden, which is a tiny little garden in West London. It started to rain and with an acoustic guitar, he sang a load of Syd songs absolutely beautifully. He just knew them...he's got this great facility. As a result, I kept in touch with Robyn and because I'm in New York most of the time, when he came here one weekend, he played in two different venues and I went to both shows. At each show, he played an entirely different set, no song was the same. I just fell in love with the guy's music. I just think he's brilliant, very underrated. So it all started there that weekend in New York, and I just decided that I was going to make a project about it. I went to the Sundance channel. Fortunately, one of the producers of the Sundance channel happened to be a massive Robyn Hitchcock fan, and she managed to persuade somebody to come up with the amount of money to get us going. That was the start of it. MR: You worked on Who Killed Martin Luther King? JE: Yes, that was really my first major documentary in 1989. It was really a fantastic experience--lots of investigative stuff, going all over the place. I think we filmed in fifteen American cities in about thirty days, racing from airport to airport, digging out all these people. It was extraordinary, the witnesses that hadn't spoken about the assassination, FBI guys who always had suspicions that maybe the FBI was involved with it. I interviewed James Earl Ray, the guy who was accused of the assassination. The film really questions whether he did it or did it alone. That was an Emmy-nominated film and a terrific experience, actually. It came out on DVD not long ago in the States. Somebody discovered it from the BBC and they put it out. We had a screening in New York about two years ago to a packed house. I couldn't leave because the Q&A just went on and on. But it was very fun. MR: What is your final theory on that? JE: My final theory on that is that James Earl Ray was really a patsy, that he was the fall guy, and that it was engineered and arranged, a kind of inside job, I think. I think the FBI, in collusion with the local cops...we have a lot of evidence of how Martin Luther King's security that the police were providing was pulled back several blocks about an hour before the assassination. There are all sorts of weird things where you go, "Oh, my God!" It's one of those stories. Mind-boggling. MR: Of course, with the John F. Kennedy story we're never going to know who did that either. MR: What a strange period that was! Going full circle, the same world stage that gave us Pink Floyd, birthed the music and the experiences of the day through events like these. JE: That's a pretty good circle to draw. MR: Because you've done so much with musical acts, what advice might you have for new artists? JE: I think Robyn Hitchcock is a huge role model. This is a guy who is in his late fifties now. First time I saw him playing live in Brooklyn, the queue around the block was twenty-year-olds, twenty-five-year-olds. The conversation inside, people knew every single word of his most obscure songs. It amazed me. These were young people who would normally, on the whole, be listening to Arcade Fire or something like that. So my advice is to just pick up that guitar and go and do it. Robyn takes a suitcase with him. He goes on the subway to the gig, he takes his guitar, and in the suitcase, he's got all these records. He hangs around afterwards and meets everyone there. He'll stay 'til midnight and sign records and chat with everyone. He's the original low-fi guy who did it before the internet killed records. He was out there doing his "let's just meet the fans and give them what they want." MR: He was social networking. JE: Yes, social networking. You have to do that. Right now, basically, there is no real record industry strategy at all. The music business companies are all in crisis and they don't know how to deal with it. MR: They're not making the kind of money they were making before, and artists really have no need for them except for their marketing connections. But a good publicist will get you there as well. JE: Yeah. So unless you're a huge breakthrough person like Adele and you win Grammys or whatever, you just gotta go and work your trade. But the best place to do it is with people, live. If you go to SXSW, it's the most amazing event. MR: I went this year and last year as well, and attendance and the number of acts performing keep growing exponentially. The amazing amount of recording artists and musicians that are playing at all times, every minute of the day for that week, is unreal. JE: I had no idea it was so big, actually. MR: Was this your first one this past year? JE: No, for the Robyn Hitchcock film, we had a screening at SXSW. But as an aside, I'll tell you, it was at this amazing cinema where you can sit and eat a meal and have a beer. Unfortunately, it was at 11 o'clock in the morning because it was a festival. Robyn did a Q&A. I went there, but people don't realize it's also a film festival at the same time as a music festival. It's ridiculous! MR: Yeah, the overlap is ridiculous. And then, of course, there's the technical expo that happens right before and it bleeds into the music and film festivals. JE: There is far too much going on and it's a mind-boggling place to go. Anyone who loves music has to go there at least once in their life. MR: Any last thoughts or words of wisdom on Pink Floyd? Anything that we missed that people should know about Pink Floyd: The Story of Wish You Were Here? JE: There's a lot of humor in it. I would say it's not a standard music doc in a sense. It really digs deep. But there are also some great characters in there--the guy who was set on fire for the cover is a fantastic, old stuntman who rides around on a massive motorbike in the middle of the Missouri backroads. MR: Does the story also cover how that was the day he wasn't protecting himself and he's recovering from his burns all these years? JE: (laughs) That's not true! JE: He says, "Look, if you want to set me on fire and give me money, I'll do it!" MR: How often I've said that. John, thank you for joining us, I really appreciate your time. JE: It's great to talk to you, Mike.